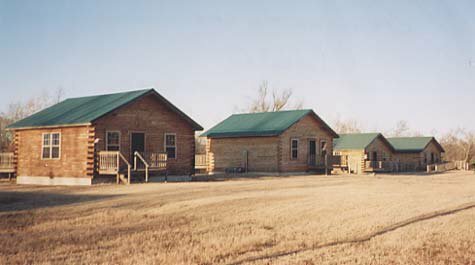 Visit Cabin on the Cove in Checotah for your next lake vacation. 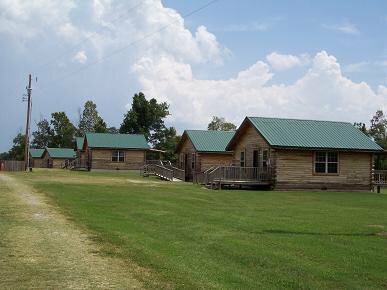 Guests will find six furnished, modern log cabins located on a quiet cove of beautiful Lake Eufaula. 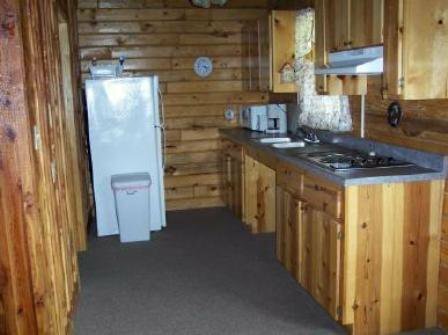 Each cabin has two queen-sized beds and a full-sized futon and includes linens, central heat and air, decks with lawn furniture, kitchenettes with dishes, utensils, coffee pot and microwave. 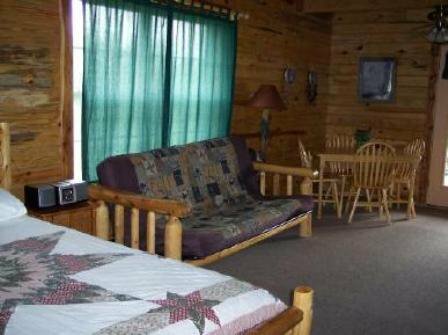 A continental breakfast is included, plus a nature walk, and a baited two-stall covered boat dock is just yards away. Two night minimum, three night minimum on holidays. 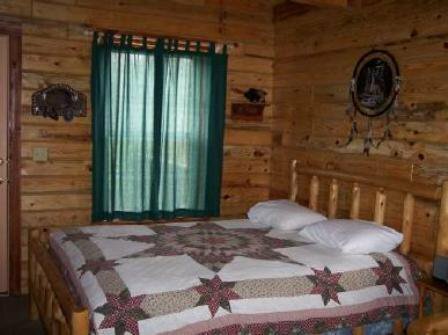 Off-season and mid-week rates available. While every effort has been made to ensure the accuracy of the pricing listed above, prices are subject to change without notice. Exit Hwy 69 at Texanna Rd and go 2 miles, then south 1 mile towards Belle Starr Park. Travel 1/4 mile west, then NW up drive.